‘A mind once enlightened, can never become dark’ is a quote repeated by many creative and giving minds. 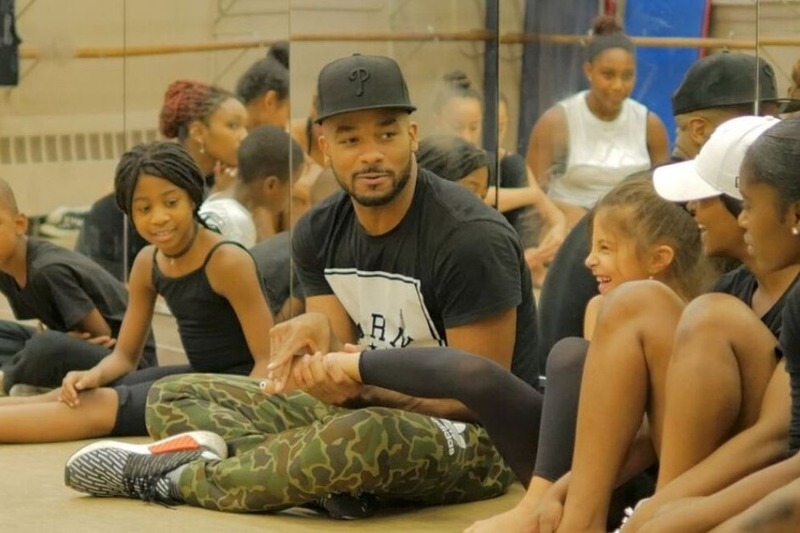 Discovering a purpose and excelling in your passion is one lesson Creative Director/Choreographer to many influential people, Anthony Burrell, prides himself in teaching to his students. Within these lessons, goals are set to be reached and Anthony is determined to share this mission by ‘Breaking Barriers’. The Breaking Barriers intensive was created with the idea to develop and lead aspiring dancers to their highest potential within the arts. Now approaching its fifth year mark, Breaking Barriers has proven to be a successful initiative geared to providing young hopefuls with the fundamentals of educational support and technical training. This opportunity allows dancers to experience exclusive guidance and performance classes from world-renowned instructors as well as provide them with keen outlined material during workshops to prepare the students for audition phases during their dance career. This year, Breaking Barriers is seeking furtherance and contributions in reaching a goal. More students have inquired to join the program, but scholarships provided by the AB Dance Corp are limited. The goal is to award 20 more students with full scholarships during the summer intensive to help further dance careers. This year a STE(A)M program will be implemented which focuses on the grouping of academic disciplines, now including the ARTS, to help the students become well-versed in their scholastic endeavors aside performing. We are seeking donations in any amount to assist with the needs of potential students in order to help them benefit from the experience. With the guidance and leadership from Anthony Burrell, the students will be prepared technically within different dance disciplines as well as academically. Students range from 7 years of age, so as you can imagine, this will be a very influential perspective for them. The staff of Breaking Barriers is committed to helping each potential student dealing with financial hardship in guaranteeing tuition assistance. The students awarded tuition donations will be covered for lodging, travel, food, and dancewear expenses. Students who wish to apply for the scholarship will be selected after careful consideration. We beseech you all to continue supporting the arts and help Breaking Barriers in an effort to continue providing excellence in the dance world. Below, provided is a breakdown of state tuition cost as an idea and reference to the goal. Please note, any amount of monetary donations will be heartily accepted and will go towards advancement of developing the students. Let’s reach the goal and continue ‘Breaking Barriers’.